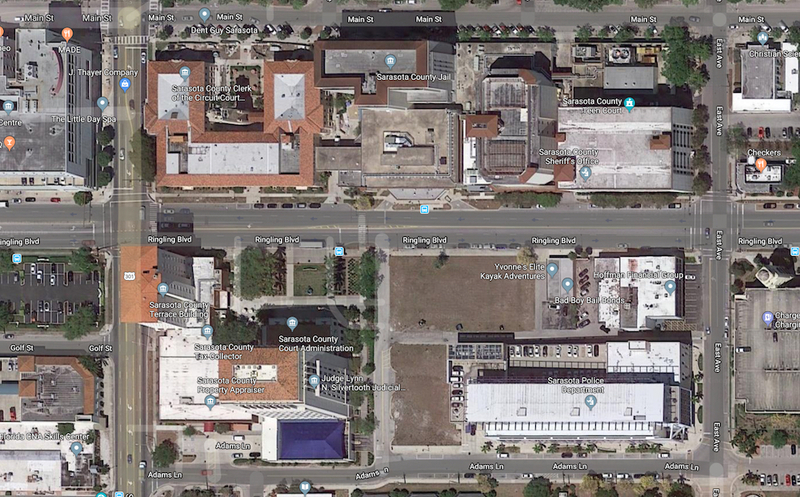 Over the previous two years, more than a little discussion has ensued at the Sarasota County Commission dais regarding a proposed settlement with the City of Sarasota over a Downtown Sarasota Community Redevelopment Area (CRA) Trust Fund payment dispute. 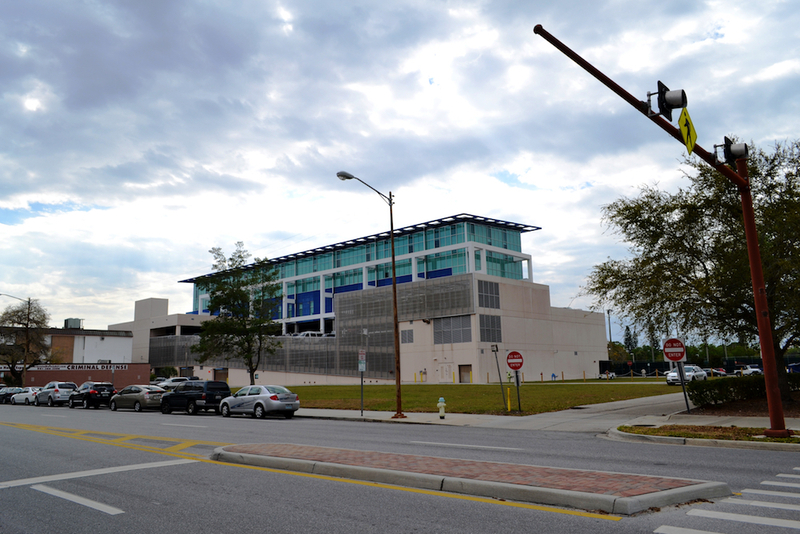 Part of the agreement will encompass a financial commitment from the county to the city for the creation of a new surface parking lot on the Ringling Boulevard site of the former Sarasota Police Department (SPD) headquarters, as County Administrator Jonathan Lewis and City Manager Tom Barwin have noted. The Sarasota County Property Appraiser’s Office records show that the parcel comprises 28,236 square feet — not quite two-thirds of an acre. It is zoned Downtown Core in the city. The value of the land in 2018 was $1,105,300, the Property Appraiser Office records note. County commissioners, especially, have talked of the need for more parking spaces for members of the public with business at the nearby Terrace Building, which houses the offices of the Sarasota County Tax Collector, Supervisor of Elections and the Property Appraiser. In response to Sarasota News Leader requests in recent weeks on the status of the CRA settlement, both Jan Thornburg, senior communications manager with the city, and Drew Winchester, media relations officer with the county, have reported that staff members of the two local governments have been working to complete the Memorandum of Understanding that both the City and the County commission must approve to resolve the CRA dispute. On Feb. 12, Winchester noted that county staff anticipated another month or so of work before the document is complete. In September 2015 — in approving its 2016 fiscal year budget — the County Commission declared its financial commitment to the Downtown Sarasota CRA had ended. Several months later, city staff provided documentation illustrating its viewpoint that that was not the case. Then-city Finance Director John Lege — now assistant city administrator — insisted that the county owed the city one more payment into that CRA trust fund. With interest accrued, City Manager Tom Barwin said in June 2017, the county’s final payment would be about $5.5 million. The former SPD site in the city’s Judicial District formerly was a point of contention all on its own. A 2003 Memorandum of Understanding (MOU) between the city and the county called for the property to be deeded over to the county. That agreement resulted from then-County Administrator Jim Ley’s threats to move the county’s administrative offices out of the city. In a March 2015 memo, City Attorney Robert Fournier provided details for his assertion that the former Police Department property should remain with the city. Among them, he pointed out, county leaders never followed through on some of the plans they promised in the 2003 MOU. However, as late as May 2018, County Commissioner Charles Hines called for the city to convey the former Police Department site to the county. “I’ve been the one that’s been harping on the parking lot for a while,” he told his colleagues during a May 8, 2018 discussion about the latest proposal from Barwin to settle the CRA conflict. “There needs to be some more finality to what happens to that parking lot,” Hines added. His understanding, he continued, was that city leaders became reluctant to turn over the land to the county for fear the county would “flip” the property and end up with a financial windfall. At one point in the past, he continued, County Attorney Stephen DeMarsh drafted an agreement ensuring that the land would not be used for any purpose that was not government-related, but city leaders would not accept that proposal. Unless the city and the county could reach a formal agreement over the future of that property, Hines said he feared that even if the land were transformed into a surface parking lot, “all of a sudden it [could be] changed to something else. 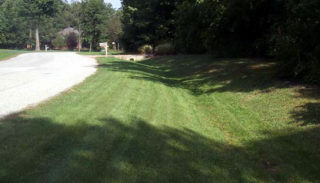 I just want you to have that discussion with [city administrative staff members],” he told County Administrator Lewis. Then, on June 13, 2018, the county commissioners took a unanimous vote to make formal one item in the proposed CRA settlement. That entailed the transfer of $1 million to the county’s Housing and Community Development Fund to assist the city with an affordable housing project. No one mentioned the parking lot issue. 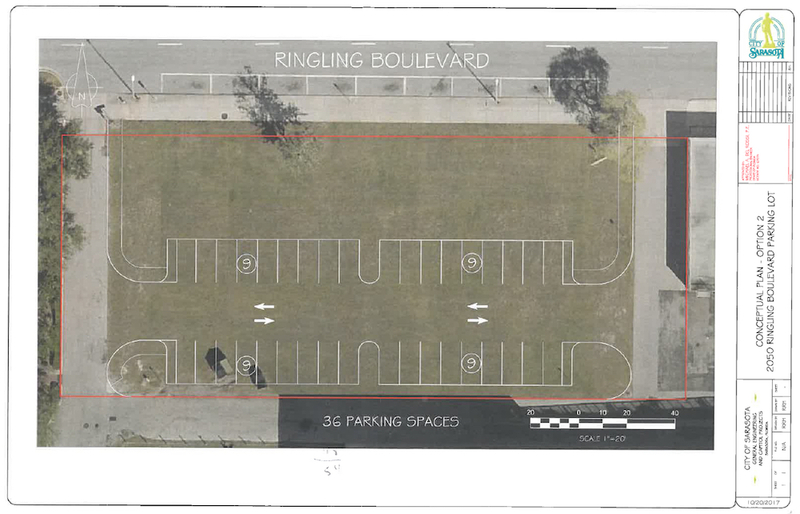 Among the other settlement proposals before the County Commission on May 8, 2018 was the recommendation that the city and the county split the $400,000 estimated expense of creating the surface parking lot on the site of the former Sarasota Police Department headquarters on Ringling Boulevard. When the News Leader contacted Thornburg of the city staff in early January about the status of that project, she replied in a Jan. 8 email that city staff that week would be meeting with representatives of the Southwest Florida Water Management District (SWFWMD) about drainage on the site. One result of that discussion, she said, would be a determination of the number of parking spaces that could be created there.